Gardeners who add the beautiful foxglove flower to a growing area often grow this plant for the lovely blossoms that grow up and down the tall plant stalks. When you propagate foxgloves in a growing area, you plant the seeds one year and the seeds will self-sow in the autumn to produce another bountiful array of foxglove blossoms the following year. 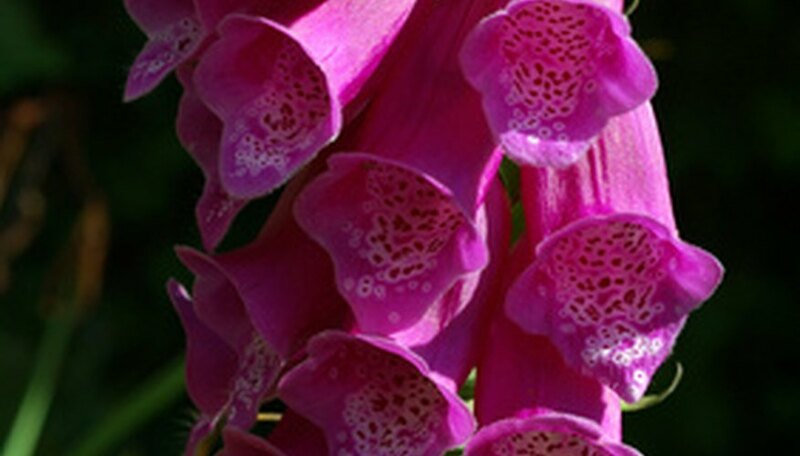 Foxgloves are biennial plants, meaning the plants return a second year after the first year you plant them. Prepare the partly sunny growing area in the spring after the final spring frost. Cultivate the growing area with the garden spade down to a depth of 4 inches. Add 2 inches of compost to the top of the soil and work this in well with the garden spade. Rake the soil surface smooth with the rake to finish preparing the growing area. Scatter the foxglove seeds evenly over the planting area. Gently press the seeds into the soil but do not cover them. Foxglove seeds require light to germinate. Watch for the seeds to germinate within two to four weeks. Allow the foxglove to grow undisturbed the first year. Expect no blossoms until the second growing season. Keep the soil evenly moist around the foxgloves during the growing season. Cut back the foxglove stems back to just above the soil level after the first hard freeze of the autumn. Watch for the foxglove plants to return the following spring. Fertilize the plants once per month with an all-purpose fertilizer. Allow the plants to grow and bloom without pruning at all, because this is the way foxglove propagates itself. As the flowers fade, they will drop seeds onto the soil and these seeds will grow into new foxglove plants the following growing season. Cut back the foxglove plants again in late autumn after the first hard freeze. Divide foxglove plantings every three to four years to thin out the plants and spread your foxglove plants to other growing areas. Dig up the foxglove plants in late autumn to divide. Cut the plants apart into two or three equal pieces and replant them at the same depth as they were previously growing.